This article discusses valuation topics related to a subset of intangible assets which are most applicable to healthcare businesses. Business valuation professionals are often engaged to value specific intangible assets, either as part of a detailed business valuation or after a transaction has been completed. When valuing healthcare-oriented service businesses, it is common for a business’s intangible value to be far greater than the value of its fixed tangible assets. Intellectual property (IP) can be licensed and provide a source of income. Over the past decades the United States economy has shifted from a focus on capital-intensive manufacturing businesses to service business industries which have relatively less tangible assets. Concurrently, business appraisals have shifted from a primary focus on tangible assets, such as buildings and equipment, to an increasing focus on intangible assets. It is fairly common for the majority of a business’s value to be attributed to intangible assets. Accordingly, prudent business persons working in the healthcare industry should have a working knowledge of applicable intangible assets, their role in buy/sell transactions and licensing and royalty arrangements, and how they are valued. This article discusses valuation topics related to a subset of intangible assets which are most applicable to healthcare businesses. Business valuation professionals are often engaged to value specific intangible assets, either as part of a detailed business valuation or after a transaction has been completed. Generally, any business valuation that yields a higher value than that of a business’s tangible assets (i.e., furniture, fixtures, and equipment) alone is deemed to have some intangible value. When valuing healthcare-oriented service businesses, it is not uncommon for a business’s intangible value to be far greater than the value of its fixed tangible assets. Although, there are over 100 different types of intangible assets, this review focuses on those most common types within the healthcare industry. Some of these intangible assets are summarized in Figure 1. The valuation of specific intangible assets in healthcare entities primarily occurs for four reasons. They include, independent valuation purposes for negotiating mergers and acquisitions, compliance with federal and state regulations (i.e., legal or tax purposes), financial reporting, and strategic planning (leasing, financing, and joint-ventures). Transaction Negotiations: When valuing businesses that are unprofitable or marginally profitable, it is sometimes determined that businesses have legal claims to intangible assets which are costly to re-create, even though they may not be in current use in the production of income, or functioning as part of a going-concern business. Regulatory Compliance: For legal matters, such as marital dissolution and tax purposes, regulatory agencies may require the valuation of specific intangible assets of a business. Financial Reporting: Accounting for Business Combinations (i.e., purchase price allocations) relate to the valuation of a business and its underlying components for financial reporting purposes. The intangible value of the business, above and beyond the fixed, tangible assets must be allocated to specific intangible asset categories and are amortized (definite lived) or periodically reviewed for impairment (indefinite lived). Intangible assets valued for purchase price allocations may include trade names, non-competes, favorable/unfavorable contracts, programs/processes, customer relationships, and various other assets. Strategic Planning: Under this purpose, intellectual property, which may be protected by trademarks or patents by exclusive rights, is often licensed to third parties for use, valued as collateral when refinancing, or valued as a contribution to a joint venture arrangement. Health system trade names; proprietary software; patents for pharmaceutical drugs, treatments, and devices; and franchise rights are commonly licensed and sold in the healthcare industry. Within these approaches there are numerous variations and methodologies that can be applied depending upon the facts and circumstances surrounding the specific interest being appraised. The following is a brief summary of each valuation approach and the most common valuation methods therein. The Income Approach is premised upon the idea that the value of any business, business interest, or asset can be valued with reference to the future economic benefits expected to accrue to the owner of that interest. When calculating a single value, as opposed to an annual payment, the future economic benefits are discounted to their present value using a rate of return commensurate with the risk of the investment. The With and Without Method measures value by drawing reference to the delta in financial performance between an entity or product using the subject intangible asset and an entity or product not utilizing the subject intangible asset. This delta establishes the maximum amount one would be willing to pay for the use of the intangible asset assuming no other non-financial motivations exist. The Market Approach is premised upon the idea that the value of a business, business interest, or asset can be reasonably determined with reference to the prices paid at arms-length for similar interests or assets in the open and unrestricted market. According to Revenue Ruling 59-60, this approach may yield the best indication of fair market value of an intangible asset. However, care must be taken to ensure that the companies or assets used for comparative purposes are truly comparable to the subject interest or asset. When a sufficient number of comparable assets cannot be found, this approach may not be appropriate. Though the Market Approach is most often used for transactions involving the outright purchase of a business or asset, it can also be used to establish a market based fee for licensing and affiliation arrangements. Several databases report market data related to licensing fees and running royalties for the use of intellectual property. Historically, the Relief from Royalty Method has been an approach to develop a running royalty rate. Under this method, value is determined under the theory that an owner of an intangible asset is relieved from otherwise paying a royalty for its use. It combines certain elements of the Income Approach, by way of utilizing the projected revenue streams, and calculating a costs savings. In simpler terms, this method determines the value based on the rates paid to lease intellectual property. To accomplish this, a search of disclosed licensing arrangements is conducted to determine the range of royalties paid for the use of comparable intellectual property. In recent years, courts have been critical of experts using this approach to calculate damages. The Asset Approach is premised upon the idea that the value of a business or business interest can be determined with reference to the underlying assets owned by the business. Typically, this approach is most appropriate for asset holding companies or for distressed companies with marginal profitability. For intangible assets, the Asset Approach is generally applied using a single method, the Replication Cost Method. The Replication Cost Method estimates the value of an asset by drawing reference to the expected cost to replicate the specific asset or an acceptable alternative. Care must be used when applying this Method to properly account for the costs at current market rates, as well as giving consideration for the potential of economic obsolescence. The cost to replicate an antiquated asset that no longer has a commercial use is not an appropriate measure of value. Some states restrict the supply of healthcare providers for particular types of services. These states use Certificates of Need (CONs) to grant healthcare businesses with a protected legal right to provide specific services within a defined geographic area. The granting of CONs may be limited as a function of population or a ratio of existing facility beds or operating rooms to the number of patients treated in the market. CONs are commonly required for proposed acquisitions, expansions, or developments of hospitals, nursing homes, ambulatory surgery centers, imaging centers, and other types of capital intensive healthcare businesses in particular states. Without CONs, these entities cannot operate in some states. A significant amount of time, cost, and risk may be associated with CON procurement. A CON is commonly valued using the Cost Approach or the Income Approach. The Cost Approach utilizes a time and resources analysis to calculate labor, fees, professional services, and other expenses which would be incurred to acquire a CON. Figure 2 below illustrates a simplified analysis valuing a hospital CON using the Cost Approach. However, we note that the Cost Approach does not take into account the likelihood that the CON will be granted. In other words, once could conceivably spend the time and money to procure it only to have the request denied. Appraisers may also utilize a With and Without Method to determine the incremental expected cash flows. In applying this Method, appraisers analyze the economic benefit of transferring the CON from one willing party to another, versus the process of having the transferee go through the process of applying for a new CON. In the latter case, the timing and or ultimate receipt of the CON is uncertain. Generally, hospitals, ambulatory surgery centers, nursing homes, home health agencies, and other healthcare businesses must be licensed by a state department of health or similar regulatory agency to operate. Furthermore, Medicare certification, through third-party accreditation or means, is a similar legal right to treat Medicare patients. Both state licensure and Medicare certification are obtained by way of thorough preparation, procedures, and survey processes which may require significant financial cost. For example, healthcare businesses are typically required to maintain a minimum level of staff, patient census, and equipped facilities to undergo surveys. It is not uncommon for a healthcare business to wait 60 to 90 days or more after opening its doors for a survey to occur, nor is it uncommon for 60 to 90 days or more to elapse while waiting for a Medicare billing number to be conferred. During this period payroll, rent, and utilities are all being incurred, but revenues are not being generated. Substantial time and financial costs may be avoided by acquiring a business that is already state licensed and Medicare certified. 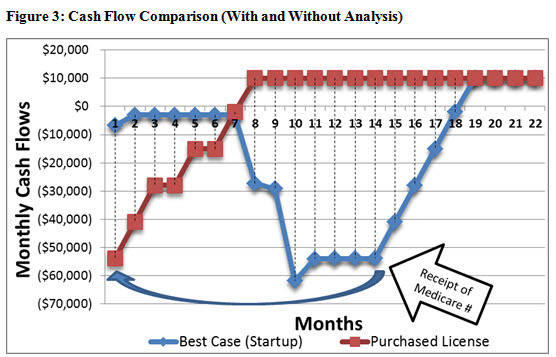 Figure 3 illustrates the cash flows for a startup home health business that must acquire CON, state licensure, and Medicare certification (blue line), and the cash flows for a startup home health business that acquired a CON, state licensure, and Medicare certification through an acquisition (gold line). The acquired home health agency is able to begin billing for services 14 months faster than the start-up. Additionally, the acquired home health agency does not have to wait 60 days for a Medicare provider number, further improving its cash flows. These differences may be even greater for facility-based businesses like hospitals, ASCs, and nursing homes which incur substantial rent and staff expenses. 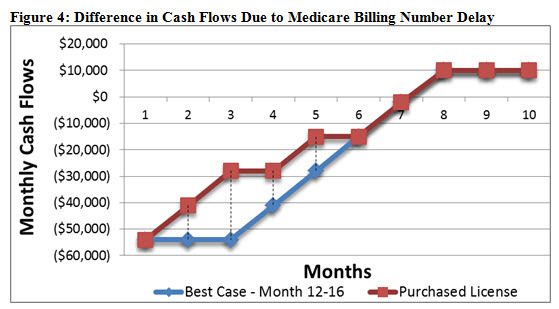 Figure 4 illustrates the difference in cash flows for a purchased business with Medicare certification that can begin billing immediately for services, while compared to a start-up business that acquires Medicare certification after 12 months and must still wait 60 days for a Medicare provider number to begin submitting claims. In Figure 4, both scenarios start at the point of Medicare certification. However, while both businesses are Medicare certified, the de novo business has to wait for its Medicare number to be assigned and mailed. In addition to the Cost Approach— Replication Cost Method, the Income Approach, and the— With and Without Method, there is some precedent for also relying on the Market Approach for regulatory rights such as state licenses for nursing home beds in various states with CONs or moratoriums. In such states, unused nursing home beds are often bought and sold between facilities regularly in an open market. When there is no ability to reproduce or apply for a new CON (as is the case in states where moratoriums exist on CONs or where applications are heavily contested), the laws of supply and demand may significantly inflate prices. Under these circumstances, appraisers must consider the economic benefits that can be realized through the ownership of the CON. To accomplish this, appraisers utilize an Excess Earnings Model on a hypothetical business that operates under the protection of the CON and transitions from a start-up to a mature entity over the discrete period. In applying this method, appraisers analyze the economic benefit that accrues over time and isolates the benefit to that which is attributable to the CON by calculating returns on other contributing assets. The “excess earnings” associated with this dominant intangible asset are then used to determine its value. Physician practices, which include RNs, PAs, and other staff, are often valued using the Cost Approach because there are little or no expected future cash flows in the practice’s current pre-transaction state beyond the compensation received by the physicians. One intangible asset that is considered under the Cost Approach is value attributed to workforce-in-place. Buyers typically obtain an assembled and trained workforce as part of a business acquisition. Considerable expenditures for recruiting, selecting, and training would be required to replace these employees with individuals of comparable skills and expertise, thus creating significant cost avoidance. The value of the assembled and trained workforce is represented by the Cost Avoided Method (a subset of the Cost Approach). Therefore, the Cost Approach is the most widely used valuation approach to value an assembled workforce. Using the Cost Avoided Method, the costs associated with employee recruitment, selection, and training provide a measurement of value. Workforce information, such as hiring costs, training costs, and time to full productivity, are provided by management and/or market research. Owning any interest in, serving as an officer, director, or manager of, or operating or providing any management services in the operation of a competing business. Appraisers often will utilize a With and Without Method analysis to determine the incremental expected cash flows derived “with” the covenants not to compete, relative to a hypothetical scenario “without” the covenants not to compete. The “with” scenario cash flows are consistent with the business’s overall forecast during the term of the covenants not to compete. The “without” scenario cash flows reflect management’s assumptions regarding revenues and costs assuming the covered individuals left the business and competed. Appraisers may calculate the present value of future cash flows in consideration of each scenario and determine the incremental value provided by the covenants, as well as apply a probability factor, which considers the incentive and likelihood of the covered individuals to compete. When the likelihood to compete is negligible, even when the ability to impact the acquired company’s business is high, the non-competition agreement generally has a relatively low value. This is the case, when the seller is older, retiring, or in poor health. Personal goodwill may include certain supplier relationships and customer relationships of a business that are attributable to one or more specific owners or employees. In the absence of such an owner or employee, the relationships would be forfeited, and sales, costs, and profits would be adversely affected. Personal goodwill may also be manifested in an individual’s ability to manage the entity in a way that may out-perform its peers. Personal goodwill is a notable intangible asset for several reasons. First, when selling a corporation, an analysis of the intangible assets may reveal that much of the value resides in personal goodwill owned exclusively by the shareholder(s) and not the business. During a sale, the presence of personal goodwill can effectively reduce sellers’ tax liability. However, if a non-compete exists, the courts typically view this as a transfer of personal goodwill to the corporation. Second, some states exclude personal goodwill during marital dissolutions. Therefore, when valuing the marital estate, the component of owned businesses related to personal goodwill is often carved out from the total value. Carving out personal goodwill can have material effects on the value of businesses pertaining to marital estates. Distinguishing personal goodwill from business goodwill requires thorough review of the specific facts and circumstances of the business and individual. The following individual and business characteristics should be examined. Intellectual property (IP) refers to creations of the mind: inventions; literary and artistic works; and symbols, names and images used in commerce. Specific IP attributes may include organized technical/clinical data, designs, plans, methods, patents, processes, systems, and trade-secrets. IP rights, just like other property rights, allow creators, or owners, of patents, trademarks, or copyrighted work to benefit from their work and investment in their creations. IP can take many forms in the healthcare industry, and its benefits are exploited in a variety of ways through outright sales/purchases, royalty payments for temporary rights to use, or as consideration contributed to a joint venture arrangement. Patents on pharmaceutical drugs, treatment processes, medical devices, and other forms of IP grant the patent holder an exclusive right for a set period of time. Patents may be bought, sold, and licensed for use. Similarly, franchises are business arrangements whereby a franchisor licenses its brand (i.e., trade name and trademarks), processes, and intellectual property to an independent operator. Attendant (non-medical) home care businesses are an example of a very common type of franchised business. Within the healthcare industry, the prevalence of publicly available IP licenses is highest within the pharmaceutical and medical device sectors. Accordingly, a review of similar licensing transactions, when they exist, is deemed a viable option for the valuation of royalty payment. In order to determine royalty rates comparable to the subject IP, appraisers may search databases of IP licenses to identify any royalty rates paid for similar types of intangible property (i.e., the Market Approach). Commonly used databases include ktMINE and RoyaltySource®. In cases when many transactions exist, it is helpful to manually narrow down the search to the most relevant agreements according to the deal description and terms. Licenses may by based on metrics such as revenue or sales, a fixed reimbursement per unit sold, costs incurred, or sub-license arrangements. To corroborate the results of these database searches, appraisers may reference other publicly available surveys and studies. Two such examples of public sources include an article by Thomas Varner and the court case involving the Georgia Pacific Corp v. United States Plywood Corp. Both are discussed below. In his study, Thomas Varner presents his findings of licensing agreements across various industries and license types. The Varner Study is unique in that it considers a large number of complete, publicly available agreements (2,963) and general descriptions of agreements from over 40 Standard Industrial Classifications (SIC). From this information, he identified 18 research and 53 development licenses in the medical device industry. Though the exact terms of the licenses contained within the dataset are not described by Mr. Varner, it is reasonable to assume that the dataset is inclusive of licenses varying in complexity, duration, exclusivity and geographical coverage. One of the conclusions from the Varner Study is a representation of the range of royalty rates observed for various types of intellectual property. These findings can be used to support or to test the reasonableness of an appraiser’s independent findings. Additionally, the data can be used to derive an assumed rate for an IP asset, where agreements are less prevalent. For example, one can calculate the royalty rate for “know-how” by subtracting the patent (alone) royalty rate range from the patent plus know how royalty rate range. Under the fair market value standard, a hypothetical negotiation between unrelated parties is contemplated. Applying this construct to the royalty rate appropriate for a specific intellectual asset, there are several qualitative and quantitative factors to consider. In Georgia-Pacific Corp. v. United States Plywood Corp., 318 F. Supp. 1116, 1119-20 (S.D.N.Y. 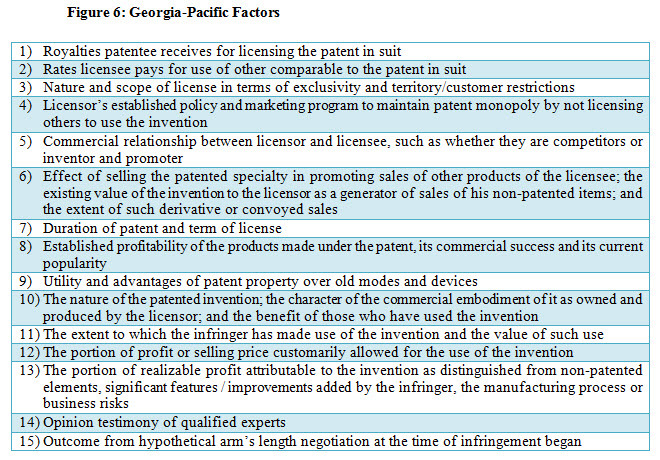 1970), the court set forth 15 factors that they believed would be considered in determining a reasonable royalty for the license of patented technology. Though these factors were originally designed to encapsulate the hypothetical negotiation that would have taken place between two parties prior to an infringing act, the hypothetical negotiation construct is consistent with the concept of fair market value. These factors are also useful in determining royalty rates for non-patented intellectual property such as copyrights, trademarks, and know-how as the same considerations would likely apply to any license of IP. In addition to the Georgia Pacific factors, when relevant, appraisers may further customize the royalty rate assessment for the IP based on professional judgment and management input using factors like, the degree of physician involvement, availability of qualified physicians, and complexities and risks associated with the services on the development project. The Cost Approach can be more complicated to apply to certain IP. This is because IP is inherently unique and often times extremely difficult or impossible to replicate in a commercially reasonable manner. For instance, a well-known and nationally recognized academic institution may have taken 100 years or more and many millions of dollars to achieve the reputation and prestige associated with its name. A large market participant, even with the economic resources, will still have difficulty obtaining the long-term history and accomplishments linked to a century old institution. In this instance, it makes greater economic sense to license the name and have immediate access to the benefits, without the costs and time to develop. However, a Cost Approach is likely relevant when the name acquired is relatively new and associated with a specific region or community, whereby the developer may still have accurate records of the inputs to create. These inputs include the individuals’ time multiplied by their hourly rate, the cost of external consultants, application fees, preliminary design and modification costs, advertising costs, avoided rebranding efforts, and a developer and entrepreneurial profit. Often overlooked, are the indirect costs associated with the development of IP, most specifically the developer and entrepreneurial profit. The developer expects a return of all of the material, labor, and overhead costs related to the development process; second, the developer expects to earn a reasonable profit on all of the material, labor, and overhead costs related to the development process. There are various ways to calculate the developer’s profit, the most basic being a percentage mark-up on the investment. The entrepreneurial incentive is the amount of economic benefit required to motivate the IP owner to enter into a development process, often perceived as an opportunity cost. It represents the administrative efforts associated with coordinating the project from inception to completion, similar to a contractor of a large building project. This compensation reflects the risk of the new development process compared to the relatively low risk of using the last generation of the subject intangible. This is usually equated with the timing difference of having immediate use versus waiting to develop the intangible asset. Trade names and trademarks are frequently licensed to users and acquired as part of business acquisitions. Health systems license their trade names and trademarks to other businesses for use. The names of physician practices are also transferred as part of practice sales. The federal Anti-Kickback Statute prohibits the exchange of anything of value in an effort to induce (or reward) patient referrals. That requirement likely implies that trade name and trademark licenses must be priced at Fair Market Value, as a health system that “under prices” licenses could be construed to have conferred them on terms that were related to the volume or value of the physician’s referrals. Therefore, a health system that licenses its trade name and trademark to independent physician practices is likely entitled to a license fee. Additionally, when health systems purchase physician practices and pay for intangible assets, they may have also acquired the trade name of said practices. If and when the physicians cease to be health system employees and return to private practice, it may be appropriate for the physicians to buy back their practices’ trade names. A common methodology for establishing the value of trade names and trademarks of businesses is to employ a combination of market information and an Income Approach, known as a Relief From Royalty Method. In this method, the asset is valued by referencing the amount of royalty income it could generate if it were licensed, in an arm’s length transaction, to a third party. In this method, a sample of comparable guideline, arm’s length royalty, or license agreements are analyzed. The risk and return investment characteristics may include industry conditions, the age of the trademarks, degree of consumer recognition and brand awareness, life cycle of the brand, level of customer satisfaction or loyalty, premium pricing, perceived value, market position of the business, ease of re-branding, or other factors. Based on an assessment of the risk and return investment factors of the trade name and/or trademark as compared to the guideline transactions, a fair royalty rate is estimated. Other methods may be considered (such as the Cost Approach). Intangible asset valuation is a large component of healthcare business transactions and valuations. Organizations and individuals that do not consider intangible asset value can be disadvantaged during business transaction negotiations. Intellectual property is a key competitive advantage in service industries employing large numbers of knowledge workers. 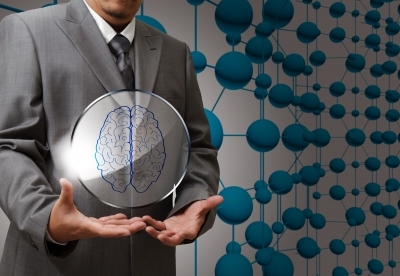 There are many opportunities for realizing income from licensing intellectual property, as well as affordably benefiting from others’ intellectual property as a licensee. Republished with permission from HealthCare Appraisers Incorporated. Tod A. Matuga, MAcc, CPA, ABV, is a manager of HealthCare Appraisers Incorporated’s Colorado office. Mr. Matuga’s practice focuses on business valuation and the analysis of compensation relationships. He has extensive experience in the valuation of privately held companies and intangible assets for purchase price allocations (ASC 805, formerly known as SFAS 141R), estate planning, and marital dissolutions. He can be reached at (303) 688-0700 or tmatuga@hcfmv.com. Todd J. Mello, CVA, MBA, is a partner and co-founder of HealthCare Appraisers and manages the firm’s Colorado office. Mr. Mello has over 20 years of healthcare finance and valuation experience. Mr. Mello has been responsible for providing physician acquisition-related consulting and diligence services and corporate financial analysis services within the consulting and publicly traded, managed-care arena. He can be reached at (303) 688-0700 or tmello@hcfmv.com. Nicholas Newsad, MHSA, is with Healthcare Transaction Advisors and has worked with over 200 healthcare organizations around the United States on sophisticated financial, operational, strategic, and compliance engagements. He has published over two dozen articles on advanced healthcare finance topics in industry trade publications and been cited as an expert source in many prominent mainstream media outlets. He can be reached at (303) 800-6444 or nnewsad@hctadvisor.com.